who snuck those veggies in there? My apologies for yesterday’s grueling test of your attention spans—I assure you that I too, suffered, nearly passing out from low blood sugar after so much concentration. You should know that you’re not alone. Last month’s feature in the Atlantic was “Is Google making us stupid?”— a piece on how the internet is making us think and read differently; in short, our attention spans are the shrinking. I could tell you more, but I only made it about half way through the excruciatingly long article. 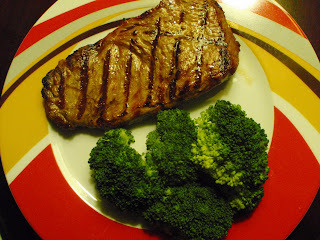 Today’s reward for effort: grilled meat. 2. Preheat grill on medium high. 3. Cover each steak with a pinch of truffle salt and freshly ground pepper. My idea of a serving size is about 4-5 oz of meat. 4. Grill to desired state of perfection. Immediately top each steak with roughly a teaspoon of truffle butter; let butter melt, and let meat stand for several minutes. Mix all ingredients together, let stand for about an hour. Truffles are expensive, as you might already know. The truffle salt mentioned above is quite pricey, but well worth every penny, and because truffles have such a powerful and distinct flavor, you won’t need to use much. 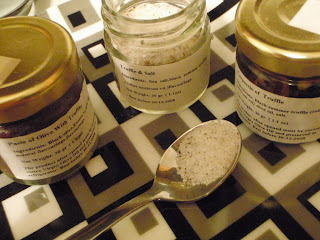 A one ounce jar of truffle salt has lasted me two years, and will probably last two more.